We understand that your horse is so much more than a pet. And we understand that the care they are given impacts your own sense of wellbeing. As life-long horse owners, we are totally committed to providing each of the horses entrusted to us with the best care possible. We live on the premises; providing us the ability to monitor their activities. We can see when a blanket or fly mask needs adjusting. We can tell when a horse is “off” or just not acting normally. We are building the Center with safety, comfort and quality care in mind. We know your horse would love living here! Ithaca Equestrian Center is located 4.3 miles North West of Ithaca on Route 96. We are 5.4 miles from Ithaca College, 4.7 miles from Cornell University’s main campus, and 6.4 miles from Cornell’s Equine Hospital. We are on TCAT bus route 21 (great for students with no car). Not only is our location convenient, but our setting could not be more beautiful. Less travel time - more saddle time! Enjoy over 2 miles of off-road trails around the 73-acre property. You can ride across open fields or along forest covered trails. 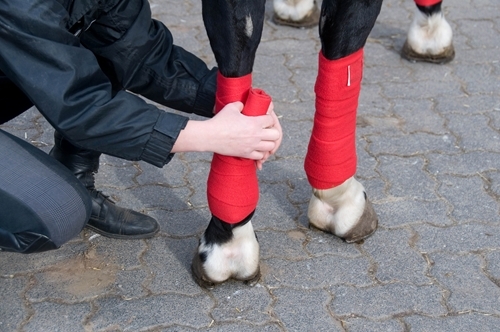 Gradual changes in elevation help to develop your horse’s conditioning. School over the jumps and obstacles built along the way. Or stroll around them if you like. The course is built for horses and riders of all levels. Just be sure to take time to enjoy the incredible scenery! Our outdoor arena is 230 x 100 feet making it large enough to hold a full-size dressage arena or a full hunter course. 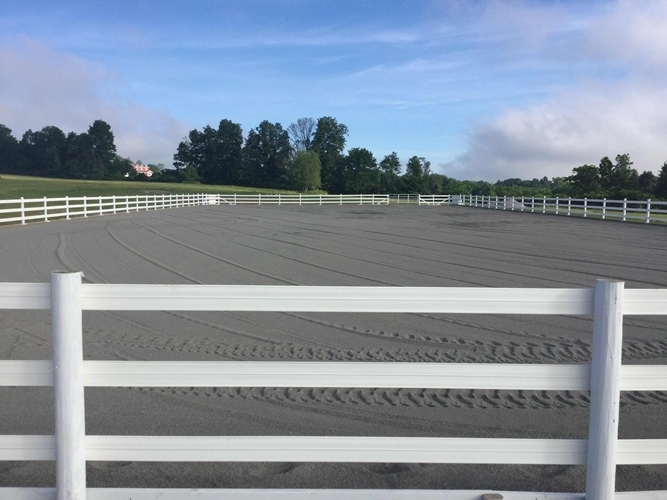 The arena features flexible fencing for the safety of horse and rider, three access gates with stay-mounted latches, and an 8 x 12 foot gazebo to keep observers comfortable. Trail obstacles (e.g., wooden bridge, practice gate, water hazard, etc.) are available to train on. We also have that valuable training tool; a 60-foot round pen. Future plans include an indoor arena and a full-sized dressage court!